Valid for the purchase of any OLG Lottery game including Lotto, Instants and Sports. The Lottery E-Gift Card is available in your choice of any denomination from $5-$100. Available for purchase at www.GiftCards.ca and can be redeemed at participating Lottery Retailers. All OLG Lottery Gift Cards can be purchased by consumers of all ages but can only be redeemed by consumers 18 years of age and older. Valid for the purchase of any OLG Lottery game including Lotto, Instants and Sports. The Lottery Gift Card is available in your choice of any denomination from $5-$100, in $1 increments and comes with a complimentary card holder. 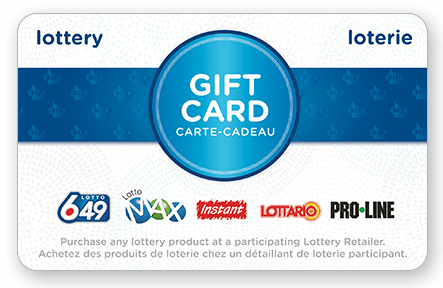 Available for purchase at select OLG Lottery Retailers and can be redeemed at participating Lottery Retailers. 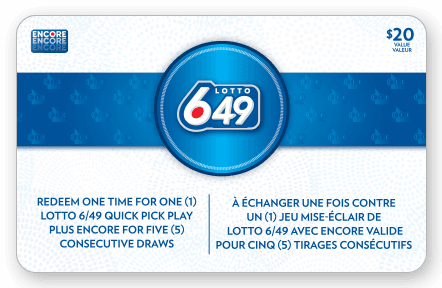 Valid for a one-time redemption of one LOTTO 6/49 Quick Pick play + ENCORE for five consecutive draws. 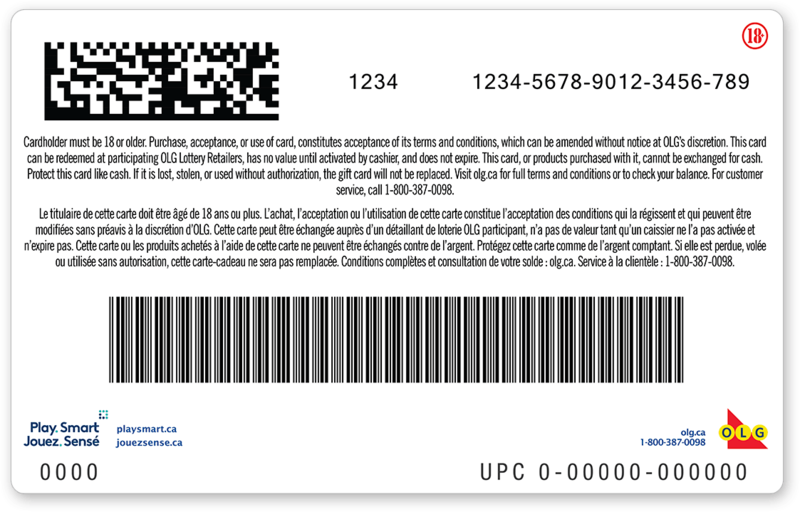 LOTTO 6/49 and LOTTO MAX Gift Cards are available at over 4,000 participating Ontario retail locations in existing gift card racks. 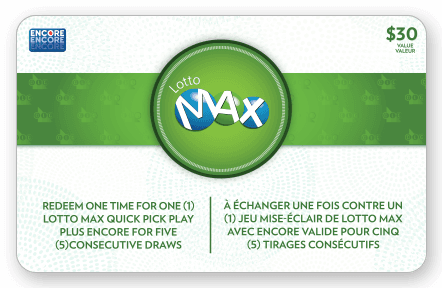 Valid for a one-time redemption of one LOTTO MAX Quick Pick play + ENCORE for five consecutive draws. Checking your balance made easy! To check the balance on your Lottery Gift Card, enter your Gift Card Number, PIN Number and Verification Value and click Check Balance. You&apos;ll find your Gift Card Number and PIN Number on the back of your Lottery Gift Card. General information and balance checks are provided by a third party supplier (Givex). OLG is not responsible for the accuracy of the balance displayed. Still have questions about Gift Cards?